BOOM! Studios, under license by Hasbro, Inc., announced today an original graphic novel starring fan favorite characters, Karone, Andros, and the iconic Psycho Rangers in SABAN’S POWER RANGERS: THE PSYCHO PATH from writer Paul Allor (Teenage Mutant Ninja Turtles, Clue), fan-favorite artist of Power Rangers: Soul of the Dragon Giuseppe Cafaro, and colorist Marcelo Costa, available in stores October 2019. 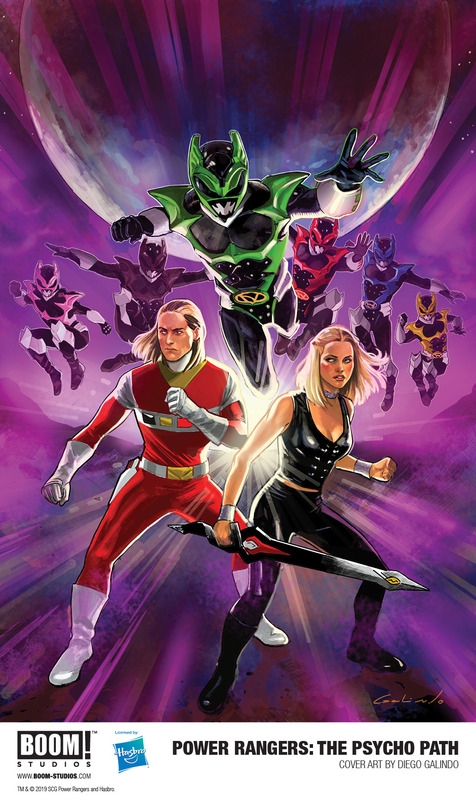 Print copies of SABAN’S POWER RANGERS: THE PSYCHO PATH will be available on October 9, 2019 at local comic book shops (use comicshoplocator.com to find the nearest one).